Why make your own baby girl shower invitations? If you are planning a shower for a momma expecting a baby girl, a great way to save some money and still make the baby shower super personalized is to create DIY baby shower invitations! The party starts with the invitations! So this is a great way to come up with some unique themes and ideas for throwing a really cute and thoughtful personalized baby shower. While your out picking up supplies to make your invitations make sure and buy plenty of extras to make matching favors and decorations, not to mention, some cute matching Thank You notes to send to the guests. The best place to start when making your own baby shower invitations is to choose some paper. A really economic way to create invitations is by using cardstock. 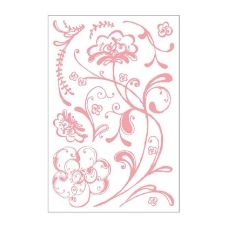 By cutting, scoring, and folding cardstock you can create the base of a handmade card. You can even purchase cardstock in different thichkness, colors, and even textures at places like office supply stores and arts and crafts hobby stores. You'll find cardstock in every color under the sun at an arts and crafts supply, as well as textures like embossed and even glitter cardstock. 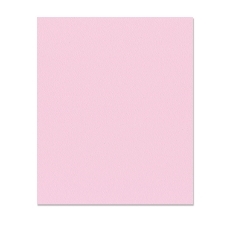 For a quick and easy option you can purchase blank cards to use as the base for your homemade baby shower invitations. These are cards that are already scored and folded and many times come with the correct size matching envelope. They are completely blank inside and out. 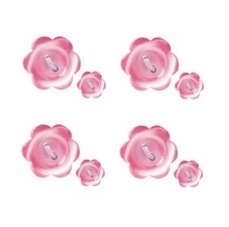 Just decorate them, print or stamp the invitation wording to the inside and you are done! I also like to create matching envelope liners and glue, stamp, or print an image to the outside of the envelope. 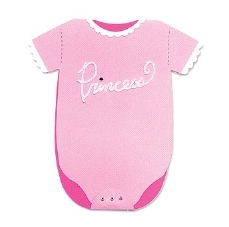 Any of the ideas and tutorials on this site can be used to create baby girl shower invitations. 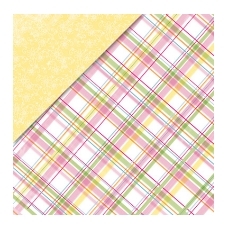 Simply switch up the papers to a baby girl theme and viola! Use the ideas and tutorials as inspiration but you do not have to stick by the book. Get creative and make your invitations your own! 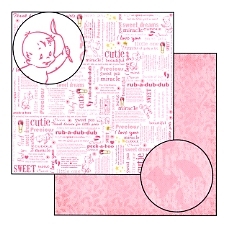 Search for baby girl or theme inspired rubber stamps, paper punches, ribbons, and papers. Mix and match colors, shapes, and textures!